These Soaps are Infused with Your Favorite Bath Time Drinks | Grand Central Magazine | Your Campus. Your Story. Picture this: you’re taking a soothing bath, enjoying some champagne, exfoliating your skin and feeling relaxed. Now imagine the champagne and the exfoliation are all in one! Yes, I am talking about champagne-infused, mimosa soaps from Cabana Soaps. 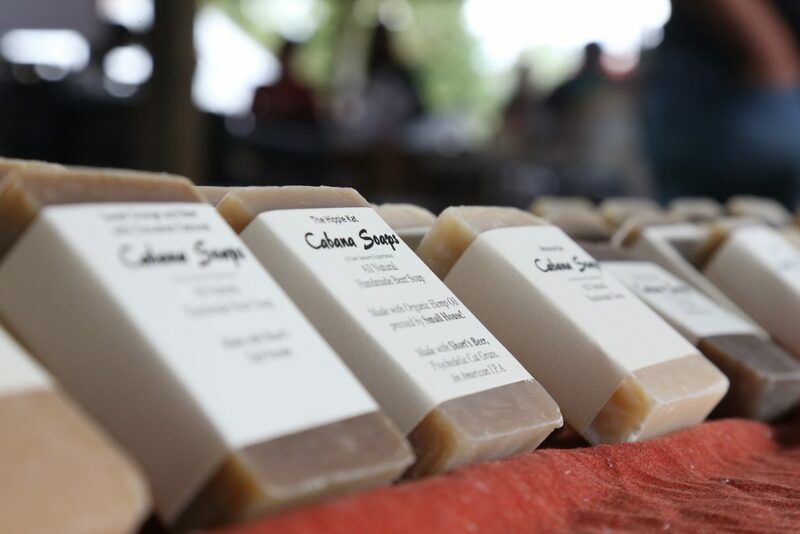 These soaps are locally made with natural ingredients, and make your skin feel amazing. Cabana Soaps are inexpensive and totally worth it – only $5 for a large bar. The soaps are infused with many natural products, like essential oils or plants, and sometimes even beer or champagne. If you’re like me and like to save money, you buy Dove or Dial soaps, or whatever is cheapest. But, you also know that saving money can sometimes have some serious side-effects on the health of your skin. After using this product, the soap left none of the soapy residue that makes your skin feels dry and tight, rather, it felt soft, moisturized and invigorated. Where can you find these soaps? One option is going to the Mt. Pleasant Farmer’s Market at Island Park and visiting Cabana Soap’s soap stand. Separator image Posted in Drinks, Food & Beverage and tagged with Anne Langan, Cabana Soaps, Food & Beverage, Local, mt. pleasant, Soaps.